The managed service industry finds itself in the cybercrime spotlight thanks to two news items that appeared in recent months. The first, which may have been under-reported due to the timing, came out just before Christmas, 2018. That’s when the US Department of Justice announced that two Chinese nationals had “conducted global campaigns of computer intrusions targeting, among other data, intellectual property and confidential business and technological information at managed service providers (MSPs), which are companies that remotely manage the information technology infrastructure of businesses and governments around the world”. An attack of that scale is hard to ignore and it is now abundantly clear that there are some serious criminals who see MSPs as a prime target because they typically have access to the systems of multiple clients, offering the enticing possibility of victimizing multiple companies with just one hack. However, as news reports noted, this ransomware attack was linked to a vulnerable plugin for a remote management tool from Kaseya. Naturally, that led some MSPs to discount it because either they don’t use Kaseya, or if they do, they don’t use that plugin. In the light of these two developments I think any MSP that has not recently undertaken a comprehensive security audit/review should do so now. There are several good reasons for this. First, the risk assessment that shaped your current security posture might not have included serious and well-funded threat actors targeting MSPs and MSP clients via the MSP. Second, recent public reports of these attacks against MSPs has – I would argue – raised the standard of due care. If you suffer a data breach – either as an MSP or the client of an MSP – you cannot reasonably defend legal challenges to your security posture on the grounds that you were unaware serious criminals were active in this space. To that list I would add making sure that all of your endpoints are protected with a strong and well-managed security suite, remembering that “endpoint” includes file servers, mail servers, and servers in the cloud. Furthermore, if you are not yet running endpoint detection and response software I suggest you give that serious consideration (I made the case for EDR here). Some reports of ransomware incidents impacting MSPs indicate that RDP is also being used as an attack vector. At the very least you need to make sure all RDP access is protected with strong passwords and rate-limited lockout of failed login attempts (remember, the attackers who hit the Colorado Department of Transport with ransomware in 2018 got in because they were allowed to try 40,000 different passwords). You really should be using two-factor authentication for all your remote access (preferably a 2FA system that does not use SMS). 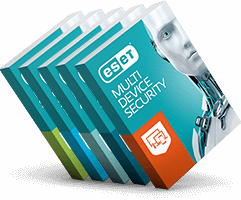 For more on ransomware attacks via RDP see my ESET white paper: Ransomware: An enterprise perspective. Another critical security measure, which should perhaps be first on the list, is to make sure that you know about, and have secured, all of the things that are on the networks you manage. Just yesterday an MSP told me of a client that had installed 400 smart thermostats on the corporate network, without telling IT. If you don’t think that criminals are looking for ways to exploit such devices as a conduit to corporate network compromise, then you don’t know criminals. If you do get attacked, you will benefit greatly from having a comprehensive and well-rehearsed incident response plan in place. There are some good incident response plan templates on peerlyst (you will need to sign up to access them, but peerlyst is well worth joining). In terms of security incident response strategies, there is a good article and discussion on peerlyst that is worth checking out: How to Handle Information Security Incidents. This article on CSO has some good response tips specific to MSPs. This section provides background on the managed service provider model. If you are reading this article on a computer or other device that your employer provided to you, the odds are about one-in-three that it was actually provided by a managed service provider. An MSP can be defined as “a company that remotely manages a customer's IT infrastructure and/or end-user systems, typically on a proactive basis and under a subscription model” (TechTarget). Those odds vary from country to country, but the MSP model for providing organizations with the information technology that they need is proving to be very popular in many parts of the world. So let’s look at MSPs from the bad actor perspective. In North America, the number of companies that could be described as MSPs varies according to whom you ask, but if you exclude one and two person operations, I think 20,000 might be a reasonable count for the number of MSPs that serve multiple clients. A survey by Datto indicates that 20% are serving 101-200 clients, with 60% serving up to 100. These numbers imply that many MSPs have privileged access to data and systems within a large number of client networks, access that those clients authorize so that the MSPs can provision and manage their IT needs. This fact has not escaped the attention of people who take an unhealthy interest in other people’s data, people like criminals and state intelligence services. In other words, if you want to gain access to the digital assets of a bunch of companies or government agencies at once, breaking into an MSP could be worth the effort. For criminals, the appeal of targeting MSPs is not just the sheer number of potential victims. The very nature of the MSP business model serendipitously enables sector-specific targeting. For example, it is not unusual for an MSP to build its business by understanding and meeting the IT needs of a particular profession, such as doctors, accountants, dentists, architects, engineers and so on. Other MSPs specialize in serving government agencies. So, whether the crime model is ransoming mission critical data, or stealing high value intellectual property, knowing that you can hit multiple targets that meet the appropriate victim profile via penetration of a specialized MSP makes that an appealing proposition. Knowing that bad actors are investing time and effort into compromising MSPs means that now is time for MSPs to check their defenses and be vigilant for suspicious activity. They should also be prepared respond to clients made anxious by these developments. Those MSPs that have confidence in their security strategy may want to consider proactive reassurance. Older Smoke damage and hard drives. Newer Gaming industry still in the scope of attackers in Asia.